In 2007 Russia re-prioritized the Arctic in keeping with Vladimir Putin's vision of restoring Russia's status as a great power. Now more than a decade later, Russia's military returns to the Arctic with strategic implications for the United States. Wrangel Island exemplifies Russia’s growing Arctic military footprint and its strategic ambitions. The island is nearly 300 miles from the Alaskan coast and houses a Sopka-2 radar; the most easterly placed radar installation in what is becoming a “protective dome” to defend Russia’s Arctic domain. 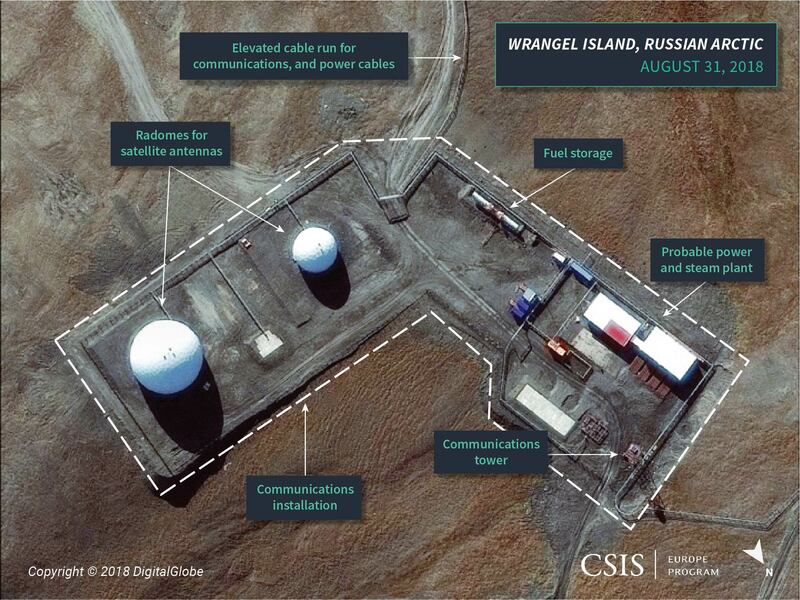 An early warning and cueing radar system on Wrangel Island has limited strategic value as a stand-alone piece of equipment. However, when viewed as part of a larger network of state-of-the-art radars covering the entirety of Russia’s northern borders, including the Arctic Ocean and Russia’s coastline, it may have greater strategic importance. ". . . whoever holds the Arctic, holds the world. 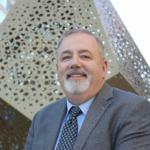 I think it is the most important strategic place in the world." These solemn words were uttered in 1935 before a House of Representatives Committee by a retired American general and aviator, Billy Mitchell, who presciently foresaw the Arctic as a vital region for early detection against missile and aviation threats to prevent an attack against the United States. But at the end of the Cold War, the Arctic ceased to be a strategically important place for either the United States or the Russian Federation. But by the 2007-2008 time frame, Russia began to re-prioritize the Arctic both economically and militarily--in keeping with Vladimir Putin's vision of restoring Russia's status as a great power and harnessing the Arctics economic potential. Now more than a decade later, Russia has returned to the Arctic militarily with important strategic implications for the United States. In 2007, the Russian Federation resumed regular air patrols over the Arctic Ocean and penetrated the North American Aerospace Defense Command (NORAD) 12-mile air defense identification zone around Alaska 18 times. Since 2007, Russia has adopted a series of policies and strategies and amended its military and maritime doctrines to include the Arctic region, emphasizing the need to protect Russia's Arctic territory and to project influence and power beyond its Arctic coastlines. In 2012, Russia announced the creation of an Arctic brigade and announced it would establish a missile defense system and deploy fighter aircraft to Novaya Zemlya, its northwestern archipelago, which separates the Barents and Kara Seas in 2013. By 2014, Russia announced an ambitious military force posture in the Arctic, which consisted of a new strategic command for the Arctic zone (the Northern Fleet Joint Strategic Command), the reopening of 50 former Soviet Arctic military bases, an increase in Russian special forces in the region by 30 percent by 2015, and a significant infrastructure program, which included "13 air defense radar stations, an aviation training ground, and 10 technical radar and air guidance stations in the Arctic region." 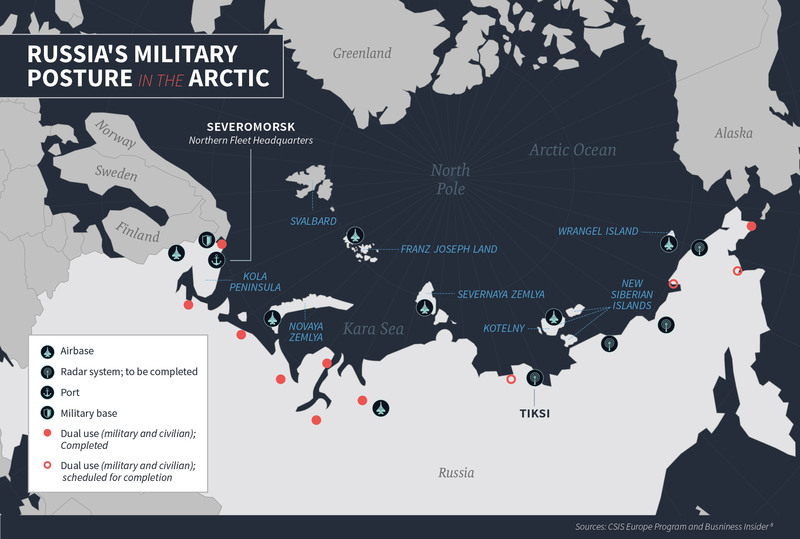 As Russia enhanced its military posture and forces in the Arctic, it concentrated on exercising its new capabilities in the context of territorial defense and power projection. In 2015, the Russian military launched an unannounced large-scale military exercise that involved more than 45,000 Russian forces, 15 submarines, and 41 warships and practiced full combat readiness in the Arctic. Russia's Northern Fleet, home to Russia's sea-based nuclear deterrent, conducted 4,700 exercises in 2017. The Zapad-2017 exercise featured missile strikes from its new base on Kotelny Island in the East Siberian Sea, where new facilities were completed along with now modernized bases in Novaya Zemlya and Franz-Josef Land, in the Barents Sea. In 2018, the Northern Fleet held around 3,800 test combat training exercises, with many designed to enhance both power-projection capabilities as well as protect strategic posts including the New Siberian Islands that are near potential oil and gas reserves and straddle the Northern Sea Route (NSR). Russian anti-submarine aircraft as well as attack and reconnaissance aircraft conducted over 100 Arctic Ocean patrols in 2018. The Russian military has already announced a new series of Arctic exercises, Tsentr-2019 (August-September), which will test new Russian weapons and air defense systems. 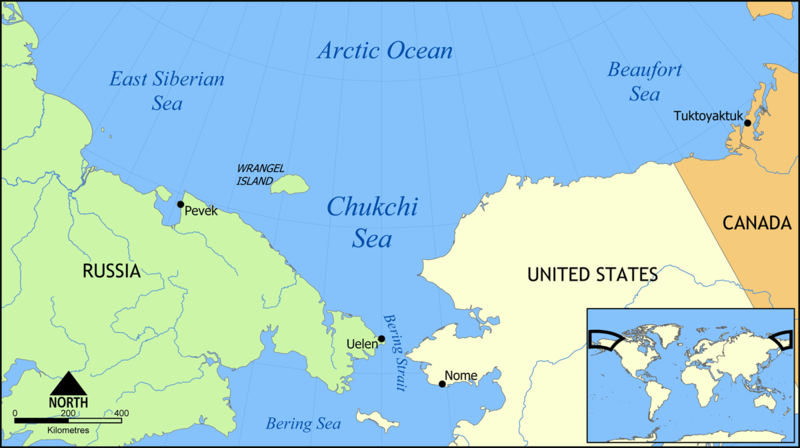 Russia has significantly strengthened its military presence in its northernmost archipelagos by upgrading its bases on Wrangel Island, Kotelny Island, Franz Josef Land, on the shore of the Kara Sea, Alykel, Tiksi, Chokurdakh, Chersky, Kigelyakh, and Taymylyr. Many of these installations have airfields or will be equipped with with 2,500-meter runways that can receive Russian fighter aircraft. Similarly, each of these installations has or is scheduled to receive a radar detachment capable of improving domain awareness in Arctic airspace, and many are equipped with modern and sophisticated weaponry including the Rubezh coastal missile systems and the Pantsir-S1 anti-aircraft weapon systems. It has been reported that Russia has deployed S-400 surface-to-air missile systems to the Novaya Zemlya archipelago and to the Yakutian port of Tiksi. Why has Russia stationed air defense assets on remote Arctic islands? Northern Fleet Commander Admiral Nikolay Yevmenov described these assets in August 2018 as a "protective dome" of anti-aircraft missile units strung along the Arctic to defend the airspace above the Russian Arctic. Is this the case? 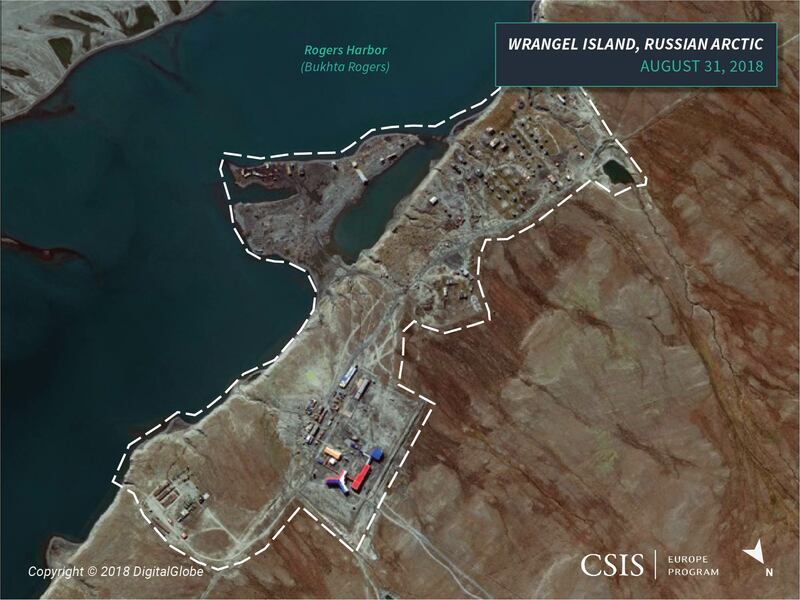 Wrangel Island, an island nearly 300 miles from the Alaskan coast, is a clear example of Russia's growing Arctic military footprint and its strategic ambition, which may have implications for U.S. national security. 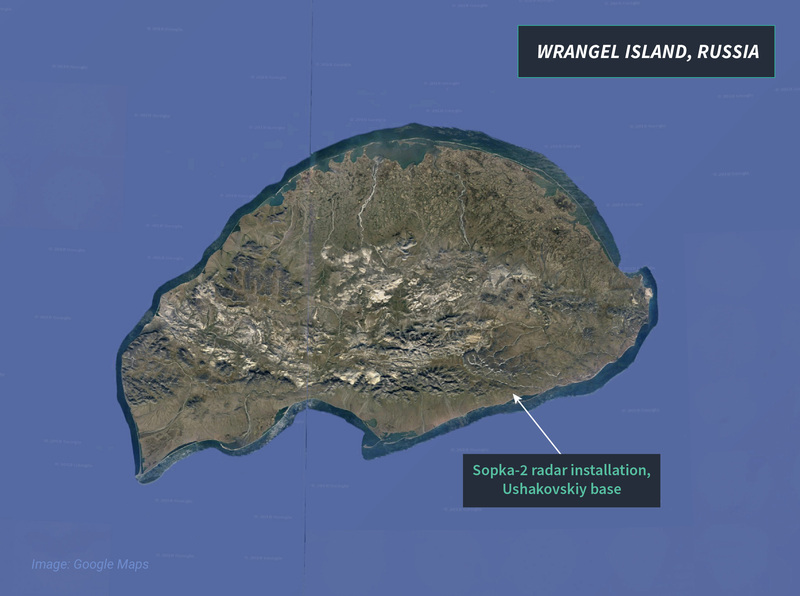 In late August 2014, the Russian navy conducted a preliminary assessment of Wrangel Island in preparation for the establishment of a new naval base which would be "the first-ever naval base on (Wrangel Island)." Satellite imagery shows that actual construction of the new naval base likely began sometime between July 2015 and April 2016 and included the replacement of an abandoned and derelict Cold War era installation at Ushakovskiy.1 The new base includes a signature trefoil structure (three interconnected buildings designed to withstand extreme cold temperatures) as well as a number of support installations, such as the construction of a Sopka-2 radar installation. According to Russian officials, the installation will control civilian air traffic, provide meteorological data and monitor airspace for potentially hostile targets. The first indications of the Sopka-2 installation were observed in commercial satellite imagery from May 13, 2016.3 The location chosen for the radar side is approximately 1,500 meters north northwest and above the trefoil base for safety reasons and 675 meters north northwest and above the communications facility to minimize interference. See trefoil structure for reference then note North arrow for direction to communications and radar sections of base. 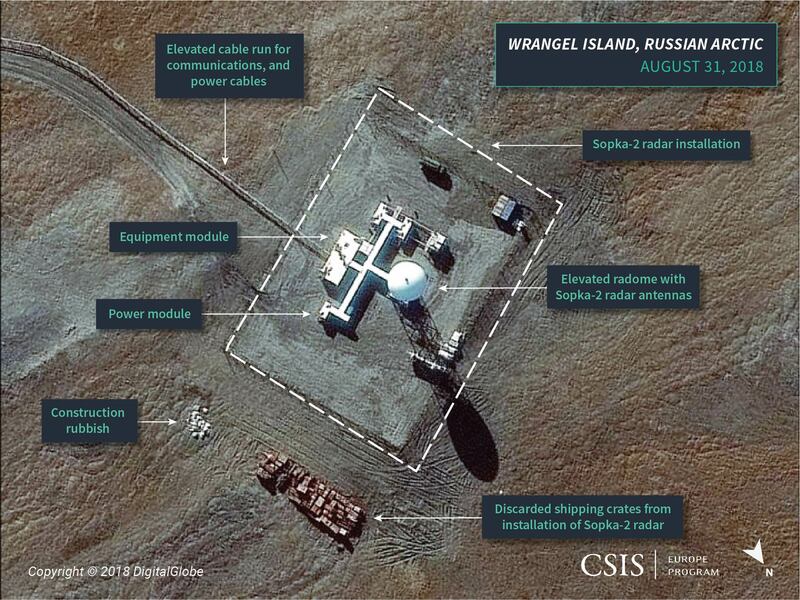 Subsequent imagery from July 21, 2016, shows that the Sopka-2 installation and its elevated radome housing the systems three antennas was externally completed and enclosed by a tall wire fence.4 An elevated cable run--likely carrying data, communications, and backup power cables--was also in place connecting the installation to the communications facility and main base. Although tentative, the radar may not have been operational at this time. A subsequent image from August 31, 2018, shows a neatly organized pile of discarded shipping crates, which possibly contained the internal equipment required to complete the internal installation of the system. Initial tests of the Sopka-2 facility occurred in January during a simulation exercise. Zoomed in shot of communications section. Zoomed in shot of radar section. More work at radar section. 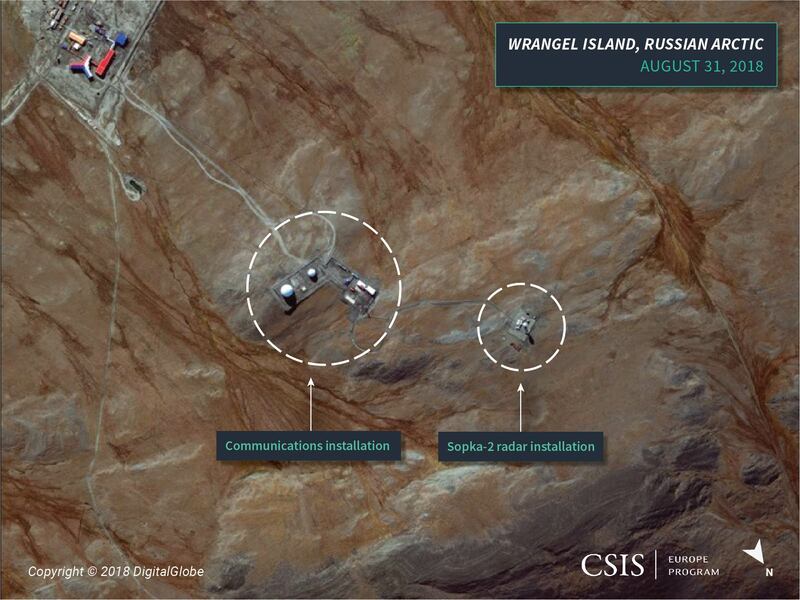 As one of its most easterly situated radar systems in the Russian Arctic, the Wrangel Island Sopka-2 radar is likely designed to supplement Russia's strategic early warning radar network and to detect U.S. aircraft. When viewed in isolation, an early warning radar system on Wrangel Island has limited strategic value and could easily be discounted. However, when viewed as part of a larger network of state-of-the-art radars covering the entirety of Russia's northern borders, including the Arctic Ocean and Russia's coastline, it may have greater importance. The Sopka-2 is a cueing radar, which means it collects data that could be used to direct more powerful radars located closer to the Russian mainland. The network would fill gaps over the Arctic and when combined with new over-the-horizon radars, would establish a detection field ranging from 900 to 1,200 miles beyond the country's borders. 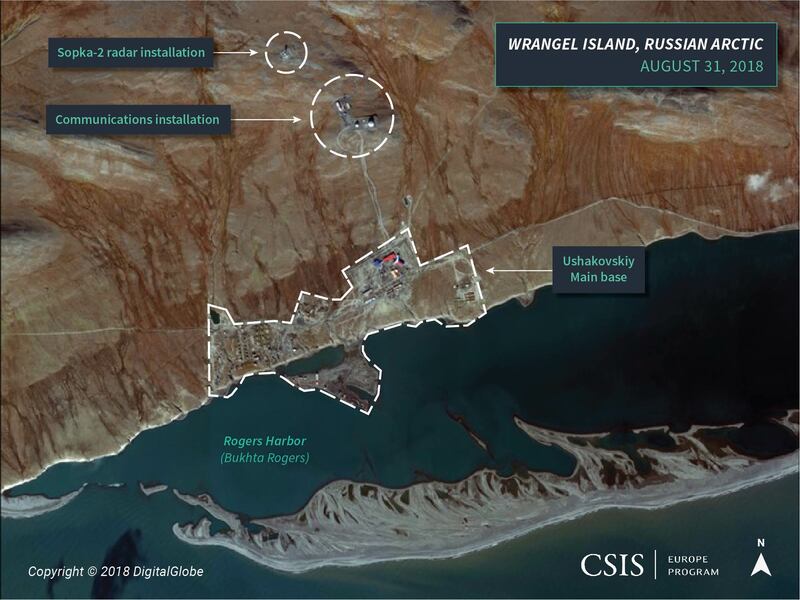 Russia's military footprint on Wrangel Island could gather intelligence on, detect, and possibly impact future U.S. military activity in the region. The Sopka-2 radars 350 km range and its intelligence gathering capabilities allows Russia to potentially gather intelligence and detect activity originating from U.S. military installations such as Eielson Air Force Base (AFB) and Joint Base Elmendorf-Richardson as well as Fort Greely army base, a key missile defense site and home to U.S. Ground-based Midcourse Defense interceptors. The pace of U.S. investments at Fort Greely has accelerated since 2013, primarily in response to a series of missile tests by North Korea and includes $200 million from Congress to add a fourth missile field with 20 additional interceptors over the next four years. The recently released U.S. missile defense strategy also increases the number of ground-based interceptors at Fort Greely from 44 to 64 over the next several years. Eielson AFB is projected to receive 54 F-35s between 2020 and 2022, increasing the capacity of the base in light of its strategic importance to defending the United States in the Indo-Pacific region. Elmendorf AFB is also the headquarters of Alaskan Command (ALCOM) and one of three NORAD regions that defend North American airspace which Russian bombers test from time to time. As Air Force Secretary Heather Wilson recently noted, superiority in the Arctic will depend heavily on airpower, which places renewed emphasis on early warning detection systems and aircraft. At present, it appears that the Wrangel Island radar system tracks regional and local air defense--including the provision of threat information from incoming aircraft--to local and regional surface-to-air missile units and air defense interceptors.5 But as Russia's aerial advancements in the Arctic advance, Russia may achieve integrated air and missile defense superiority. Although recent commercial satellite imagery of Wrangel Island is readily available, weather conditions (e.g., snow, heavy cloud coverage, etc.) in the region often make ground observation very challenging, if not impossible. Additionally, historical commercial satellite imagery of the island is somewhat limited and subject to the same climactic challenges. Air-Route Double Purpose Radar Complex: SOPKA-2 (slide 2), ALMAZ R&P Corp, LEMZ Division, http://www.radartutorial.eu/19.kartei/03.atc/pubs/Sopka-2-1_en.pdf; Sopka-2 Air-Route Radar Complex, ALMAZ R&P Corp, LEMZ Division, http://www.lemz.ru/en/publicdata/SOPKA-2.pdf. Due to snow cover and the angle of the winter Sun, much of the image is "blown out." Enough detail, however, remains to make these observations. The fence is likely just as much a security measure as it is intended to keep local reindeer herds out. 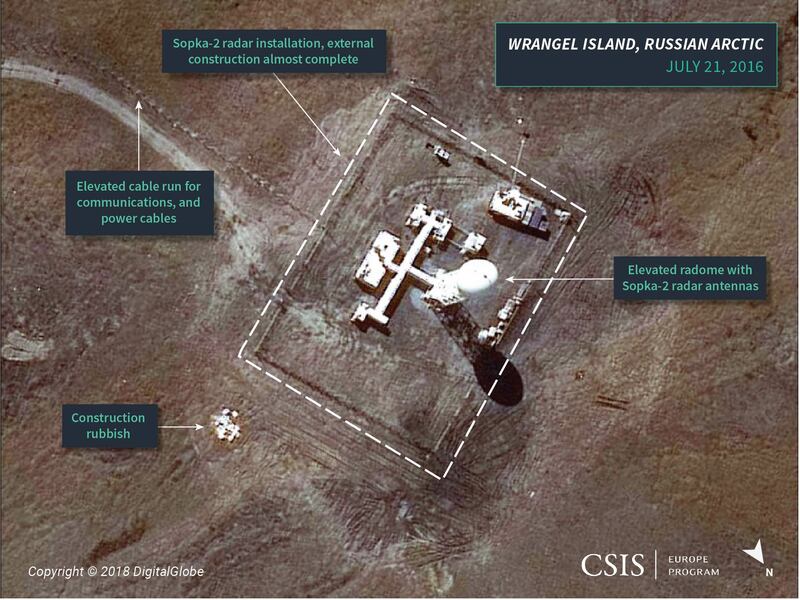 To date, no surface-to-air missile units have been observed on Wrangel Island. A subsequent image from August 31, 2018, shows a neatly organized pile of discarded shipping crates, which possibly contained the internal equipment required to complete the internal installation of the system. Subsequent imagery from July 21, 2016, shows that the Sopka-2 installation and its elevated radome housing the systems three antennas was externally completed and enclosed by a tall wire fence. The first indications of the Sopka-2 installation were observed in commercial satellite imagery from May 13, 2016. Satellite imagery shows that actual construction of the new naval base likely began sometime between July 2015 and April 2016 and included the replacement of an abandoned and derelict Cold War era installation at Ushakovskiy. The new base includes a signature trefoil structure (three interconnected buildings designed to withstand extreme cold temperatures) as well as a number of support installations, such as the construction of a Sopka-2 radar installation. For reference of base layout, note trefoil structure (upper left), communications installation, then Sopka-2 radar area. 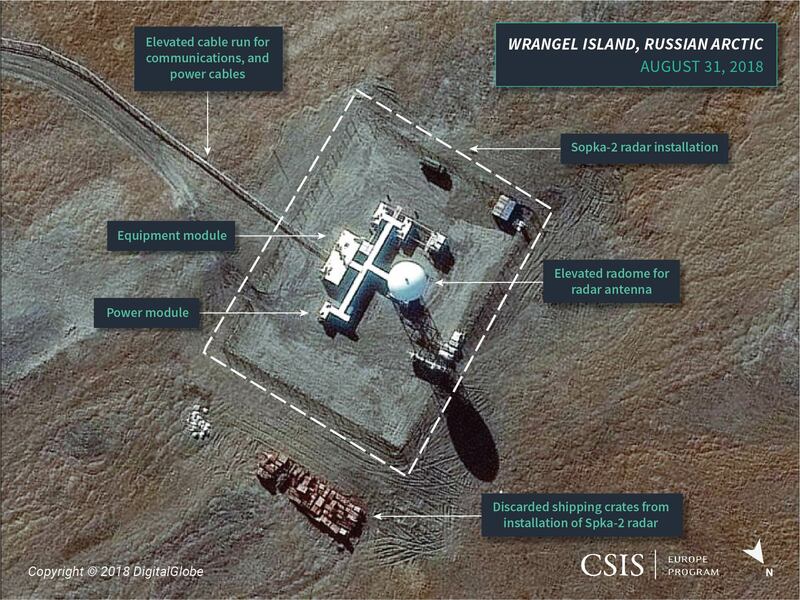 Wrangel Island radar construction is most likely a piece in Russia's larger Arctic framework. Forthcoming analysis will focus on additional locations that make up a "protective dome" of military assets. Look for related construction and integration into larger network of Russian air and missile defenses. Watch for next report on Kotelny Island activity.